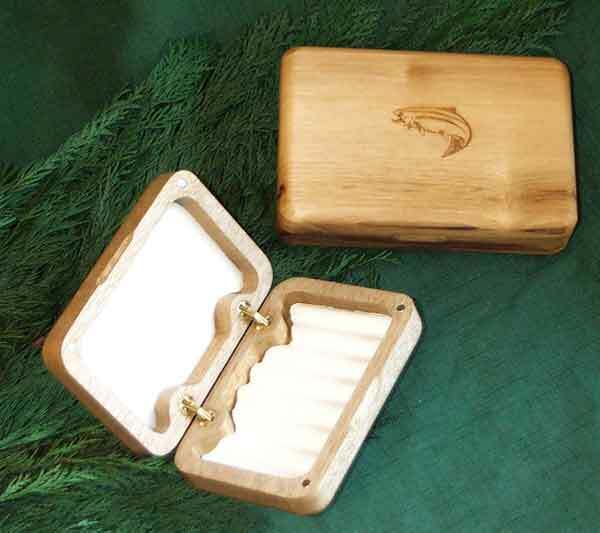 One of the most important accessories for the fly fisherman are his fly fishing boxes. Many avid fly fishermen own several to hold all the fly patterns they have tied over the years. Flies take a lot of time to make, so you don't want to just dump them in a container and then have to untangle the hooks when you want to choose one. These boxes solve this dilemma by giving foam boards, slots and individual compartments to hold various flies. Using this type of system keeps your flies in prime condition and easy to choose when you are ready to fish. Boxes come in a variety of sizes, materials and styles. No matter what your budget is, you'll find one to suit your needs. Containers may be decked out with adjustable compartments, various foam inserts, plastic clips, and other methods of securing your flies. Some boxes are made to be virtually indestructible or to float. Just because budget boxes are cheap, it doesn't mean they are shoddy. Quite the opposite. For less than ten dollars you can get a durable plastic box that has been combined with a chemical to keep your hooks from rusting. Another budget box is made of clear polycarbonate material and features rounded compartments so it is easy to retrieve even the smallest fly. The medium size version is 7-5/8 inches by 4-7/8 inches. Others feature magnetic pads that hold your flies secure no matter how the weather tries to encourage them to freedom. You can also choose these budget priced boxes in clear plastic so you can see what flies you have brought with you. They come with easy to use slots. The flies just slide right in and out for easy access. The smallest box I've seen is a tiny 3 inches by 3 inches. It fits nicely in a pocket or clips to your vest, backpack or shirt and closes with a strong magnet. 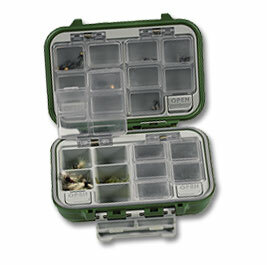 Middle range priced fly fishing boxes offer you even more to choose from. Of course, these boxes may be larger than some of the budget priced ones. In this range you can find containers that allow you to have your flies already tied on dropper rigs. Super-durable boxes filled with slotted foam to hold your hooks are large enough for saltwater flies and large streamers. These rugged containers feature sliding closures for secure locking. This price range also features exclusive handcrafted boxes of anodized aluminum. Some of these can be personalized with your name. This type features separate compartments, slotted foam, self-healing foam, clips, ripple foam and flat swing leaves to hold even more flies. To protect those very special, one of a kind flies, you may want to get a top of the line box to hold your flies. In this price range you can find a strong, extremely lightweight carbon graphite box. This box can hold up to 216 flies securely in one place where you can easily keep them organized. Arrange them by type (keep all your midges together, all your dry flies together and so on) or organize them by groups that work in a particular stream. The ultimate box for the avid fly fisherman may be the one I've seen made of black walnut. This handsome handcrafted box comes with a handsome price as well, but this fly container is worth it. Built with 16 compartment clip boxes on one side and a foam pad on the other to hold streamers and other large flies, this box is the perfect place to keep those special flies. You know the ones I mean. A brass clasp closes the box securely, and the lid can also be personalized. 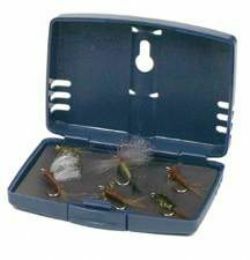 As you can see, there is a lot to choose from when it comes to fly fishing boxes. Of course, over many years of fly fishing , you may need several to hold your fly collection. That thought may make it a little easier to decide which boxes to choose. You can always get a more elaborate one next time.